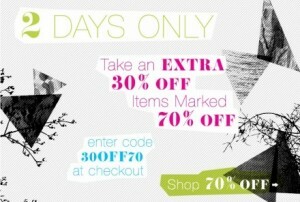 Going on now for two days only, check out the deal at ShopBop! 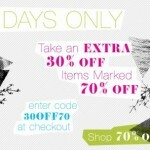 Take an extra 30% off items already marked 70% off with code 30OFF70 at check out! I spy some cute jeans by 18th Amendment and Anlo.